This is the third volume in the Horse & Musket game series. The first, 'Dawn of an Era', is needed to play the series (the second volume is 'Sport of Kings'). As with every Hollandspiele game I have played, minimalism is the key word. Don't think that this means that game play is compromised; it's far from it. The minimalist approach means that instead of a fifty to sixty page rulebook, you get only the real meat in these wargames. 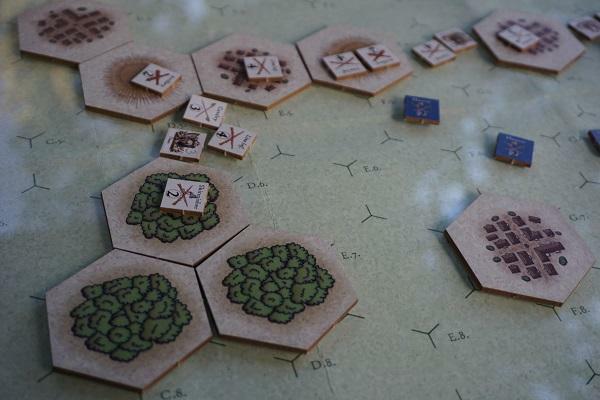 The markers that are unique to Volume III include 'Woods markers', 'Fortified Town', and 'Square markers'. The game components are just like every Hollandspiele game I have played. They are fully functional, but are not the fancy hand drawn maps etc. that sometimes come with games from the Age of Reason. The map is a blank slate that you add tiles of water, woods, and towns etc. to. The colors are muted, but still pleasing to the eye. The counters are a bit different. These have vibrant colors, and the portraits of the commanders are first rate.The counters themselves are very well made and seem thicker and sturdier. 1. Player A rolls and determines random action points available to the command action points and stored action points for his total. 2. Player A spends his action points one at a time and performs allowable actions in any order he wishes. 4. Player B rolls and determines random action points available to the command action points and stored action points for his total. 5. Player B spends his action points one at a time and performs allowable actions in any order he wishes. 7. End turn - move turn marker ahead one space on the turn record chart and go to Step 1. 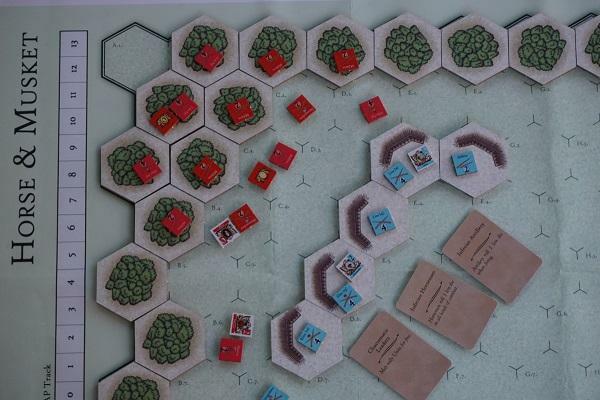 As you can see, the game play adds the fog of war to both sides with the random action point rolls. The player must also consider when and where to actually spend theses points. Do you wait and see how your defense is holding up on this turn, or do you start your counter-attack now? 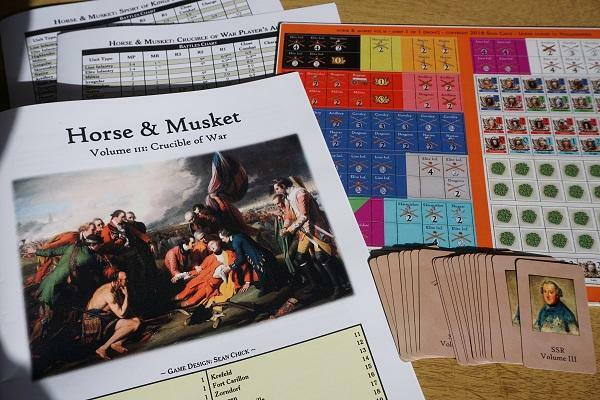 Like all great wargames the Horse & Musket series does a stellar job of putting the player in the shoes of the generals from this time period. The game also has enough chrome to make you believe you are fighting in the 18th century and not a stamped out WWII era game with different names for the units. The leaders Montcalm, Wolfe, Friedrich der Grosse, Daun, and the battles of Leuthen, Kolin, Minden are all here along with a great many more. To see what I mean about the minimal approach, let us look at the Battle of Leuthen. This battle was one of the larger ones from this time. The Prussians have only eight pieces on the board, not counting leaders. The Austrians have a total of thirteen counters that you to have to order around like a good cardboard general. So, just like all of Hollandspiele's games the player can concentrate on his strategy, and not his manual dexterity. The battles of the Prussians against the Russians are my favorites. 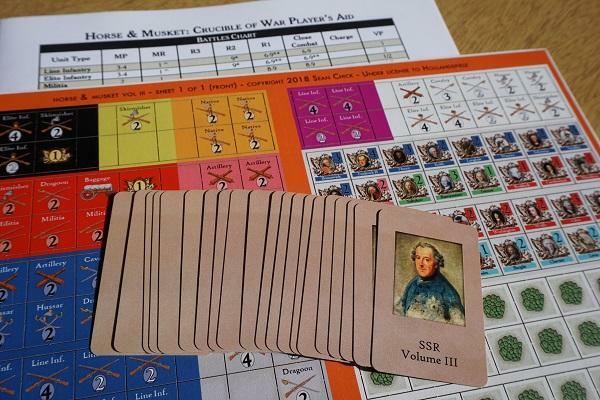 Hollandspiele is a relatively new company, but it already has a large catalog of games for many tastes, from straight wargames to political simulations. 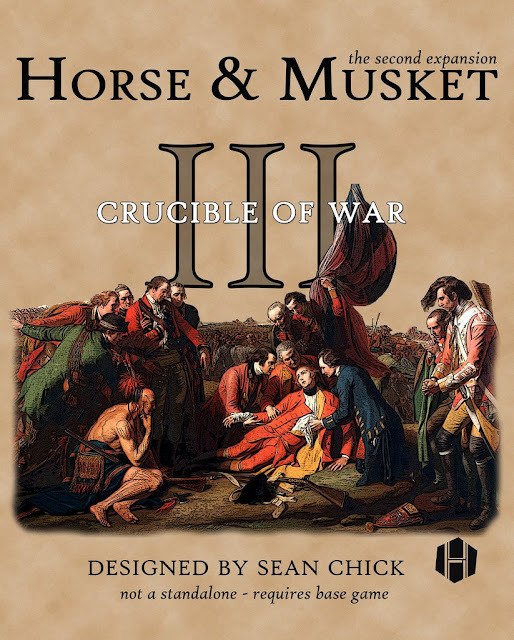 They have quickly become one of my favorite publishers and a big thanks to them for letting me review this volume of Horse & Musket.